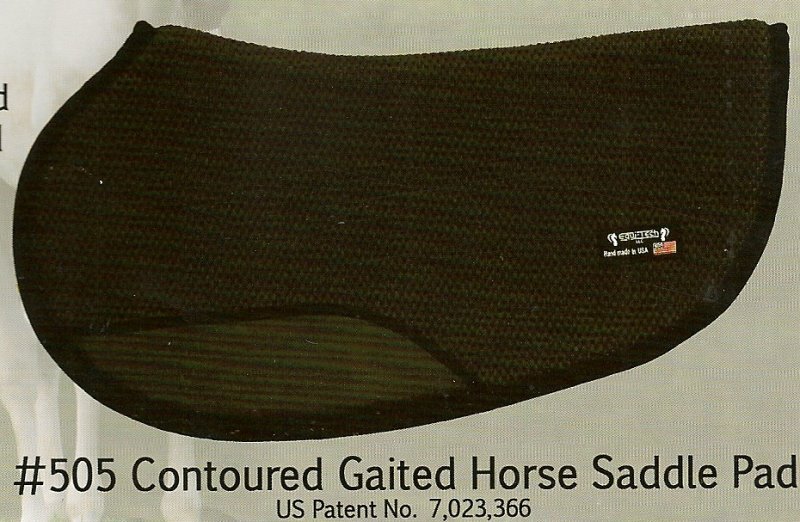 Round-Skirted contoured pad designed to fit round-skirted gaited horse saddles. Same heavy-duty PVC construction as all other Tacky-Tack Pads. Hose off to clean does not absorb water. Measurements from actual pad: 27" down spine; 31" front to back at longest point, 32" wide laid flat. (16" drop). 1" thick. The company product list call it 29" x 32".